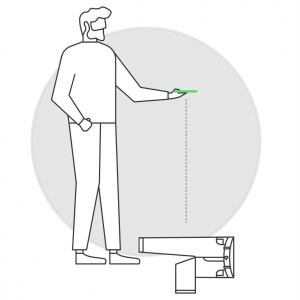 The ability to measure an entire garment in the palm of everyone's hand. Simply place the garment you wish to measure on a flat surface, and snap a photo with your mobile device. In less than three seconds, all the critical measurements are measured and recorded. One platform. All channels. Simple integration. Use a mobile device or regular camera to snap a picture of a garment you wish to measure. Tailored seamlessly integrates with your PLM, webstore and mobile app. Use our API and SDK to customize the experience. Current recognizable garment types: bottoms, tops and the top half of full length garments. We customize our algorithm for each client, so Tailored measures exactly where you do. THE ANSWER TO ACCURATE GARMENT MEASUREMENTS IS JUST A PHOTOGRAPH AWAY. OUR SOFTWARE WORKS IN CONJUNCTION WITH YOUR OPERATION TO PRODUCE THE BEST RESULTS. 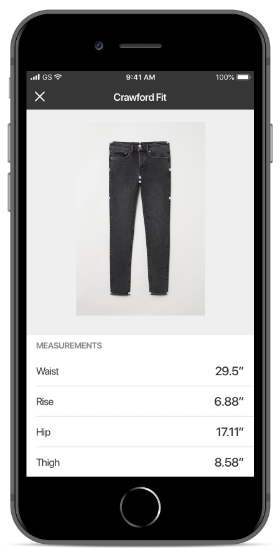 Our app lets your teams coordinate on garment measurements more efficiently. It’s customized to your brand and provides instant results no matter if they’re located in the factory or your HQ. Want to learn more? Enter your name and email and we’ll be in touch soon.